Members of the Bridge and Tunnel Collective and some very special guests will perform a holiday revue for all ages at 8pm Saturday, December 15 at Oglebay Institute’s Towngate Theatre. The concert will put audience members in a festive mood as multiple local musicians take the stage, performing their original takes on traditional holiday favorites in a variety of musical styles. Performers include Adrian Niles, Michael J. Iafrate and the Priesthood, Mr. Fancy Pants, Weird Lightning, Molly Ananga Manjari Martin, Matt Smith, Chad Burrall, The Pussyfooters, Zoe Buccella, Love & Data and Chelsy Keding. 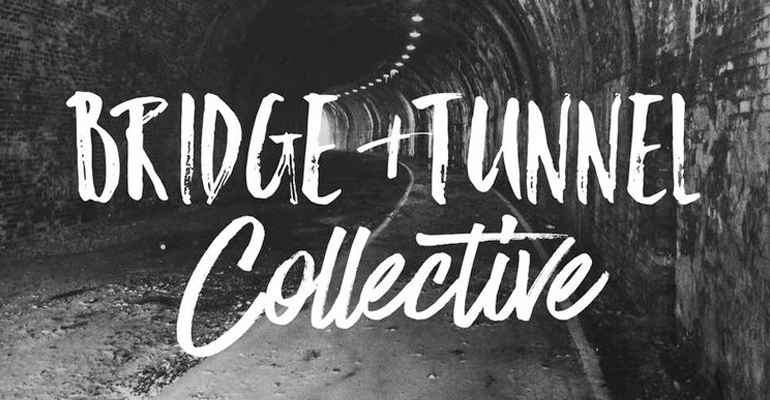 The annual concert, organized by the Bridge and Tunnel Collective, serves as a fundraiser for a local community organization. This year the Collective is donating its proceeds to the Youth Services System Winter Freeze Shelter. This is the 10th year for the Winter Freeze Shelter, which provides warm, safe shelter to homeless individuals during the coldest months of the year. Concertgoers have to option to donate additional funds through a donation basket and are encouraged to bring supplies to help the shelter. Needs include warm socks and gloves, ground coffee, sugar, creamer, powdered drink mixes, bottles of water, lip balm, razors, soap, hand sanitizer, deodorant, shampoo, lotion, zip-top plastic bags, canned food and peanut butter. “A Very Bridge + Tunnel Christmas” takes place Saturday, December 15, 2018 at 8pm. Tickets are $10. Purchase online or call 304-242-7700. Seating is limited. Adult beverages will be available for purchase. An after party will follow the show. The show is part of Towngate’s Second Season and is sponsored by Main Street Bank. Towngate’s Second Season programming enhances Wheeling’s arts landscape with literary programming, live music, spoken word performances, improvisation and more. Programs often feature works by emerging and/or local authors, musicians, songwriters, playwrights and poets. A church-turned-theater, Towngate is located in Wheeling’s historic Centre Market District. Towngate is a cornerstone of creative life in Wheeling and serves as an entertainment destination for residents of Wheeling, the Upper Ohio Valley and beyond. People of all ages and backgrounds gather here to create and experience art onstage. Dozens of theatrical performances, ballets, concerts, films, exhibits, classes and more take place year-round. For more information, visit www.oionline.com or call 304-242-7700.